9mm (from hole to hole) pansy-shaped, about 5mm thick (front to back). 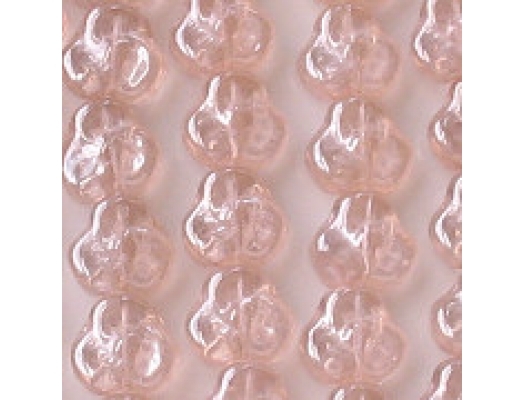 Translucent light pink with a lustrous coating. This is a shape I haven't carried before. My suppliers don't carry many colors in this shape.